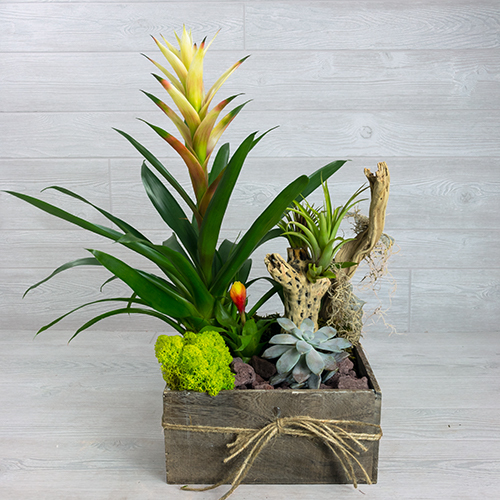 Like the ash-white limestone cliffs, hidden slivers of beaches and a towering natural arch - this rustic plant garden dish evokes the feeling of vacationing off the coast of Italy. Ciao! ~10.5" x 10.5" x 23"